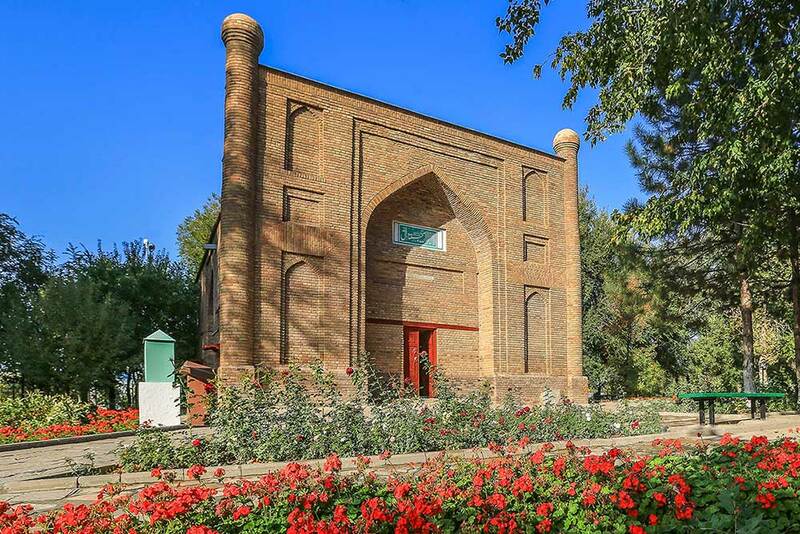 Included in the list of the cultural heritage of the Republic of Kazakhstan and they are a popular place to visit with tourists and residents of Zhambyl region. 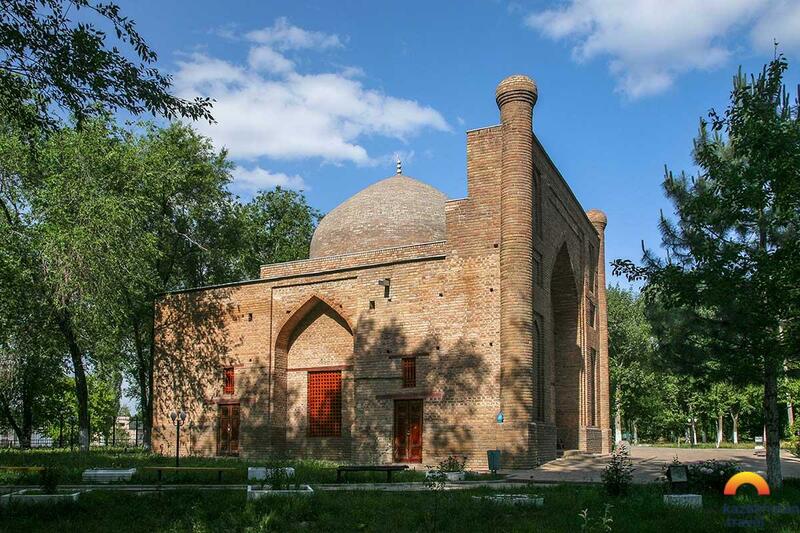 The mausoleums “ Karakhan ” and “ Dautbek ” are one of the oldest religious buildings of this kind on the territory of Kazakhstan. 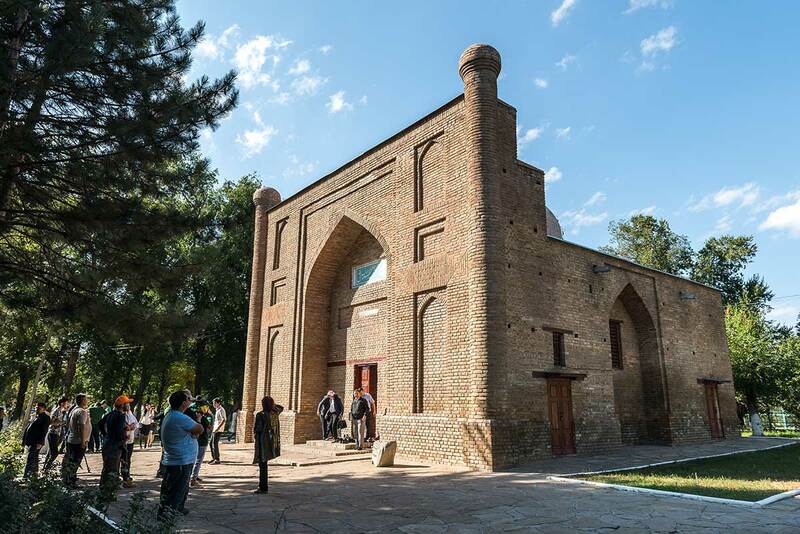 According to beliefs, the commander-in-chief of the Karakhanid army, Doutbek, was the son-in-law of Shah-Mahmud Buhr Karahan , therefore their tombs are not far from each other. 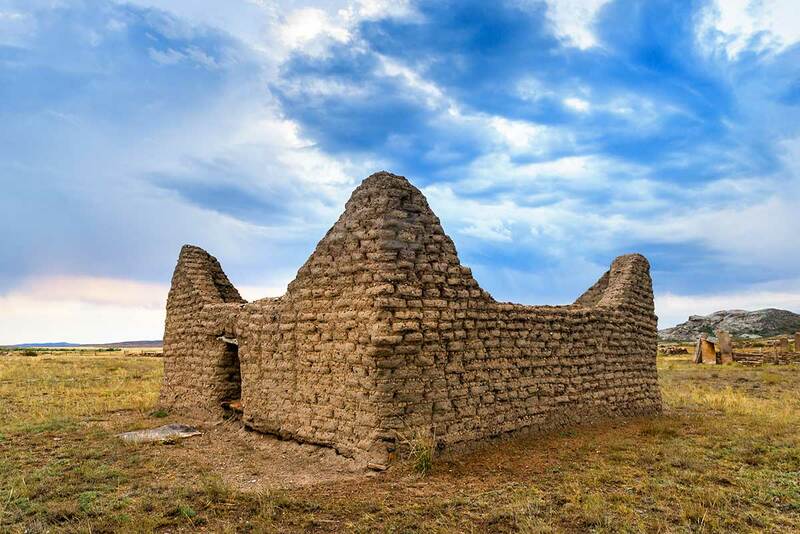 The structures are square. 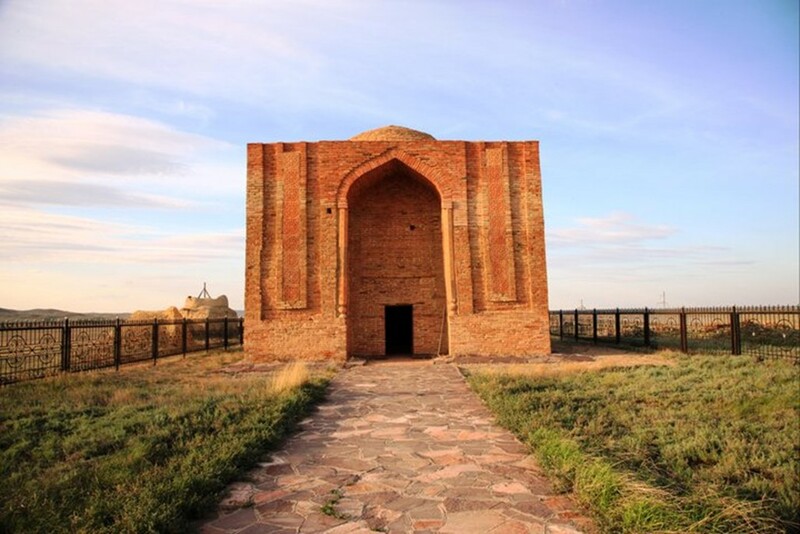 The interior of the Karakhan mausoleum includes the central hall, small cells and a staircase that leads to the roof, and the center of the Muslim crypt “ Doutbek ” is complemented by a gravestone made in the form of a stepped pyramid, where the date of death of the Kazakh commander is indicated. 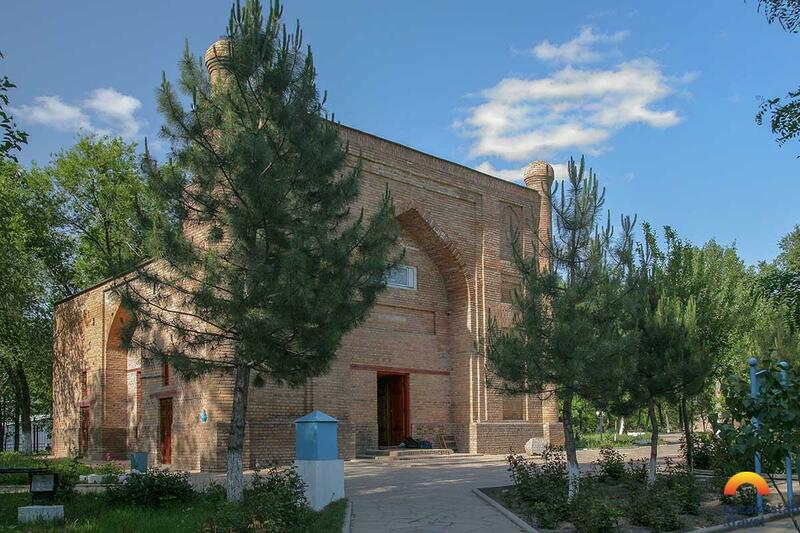 Both monuments are under state protection, included in the list of the cultural heritage of the Republic of Kazakhstan and they are a popular place to visit with tourists and residents of Zhambyl region. 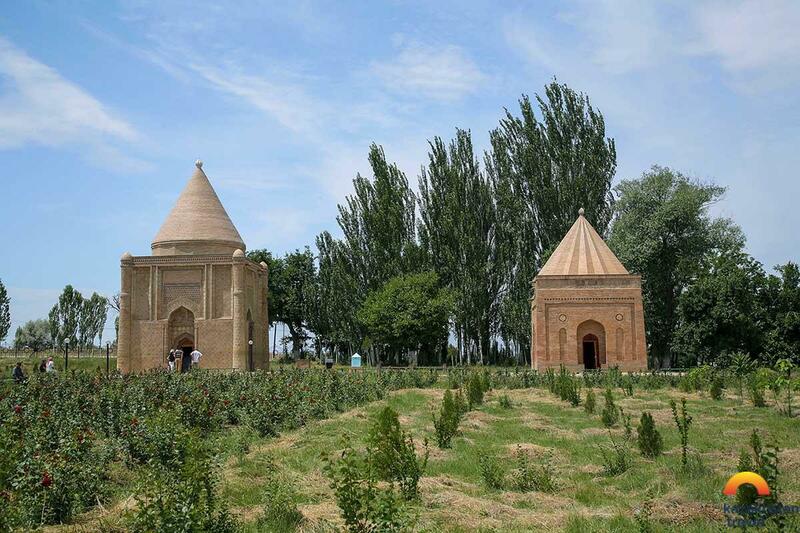 Mausoleums "Aisha Bibi" and "Babaji Khatun"
These two buildings, around which many legends go, were erected near the borders of Taraz. 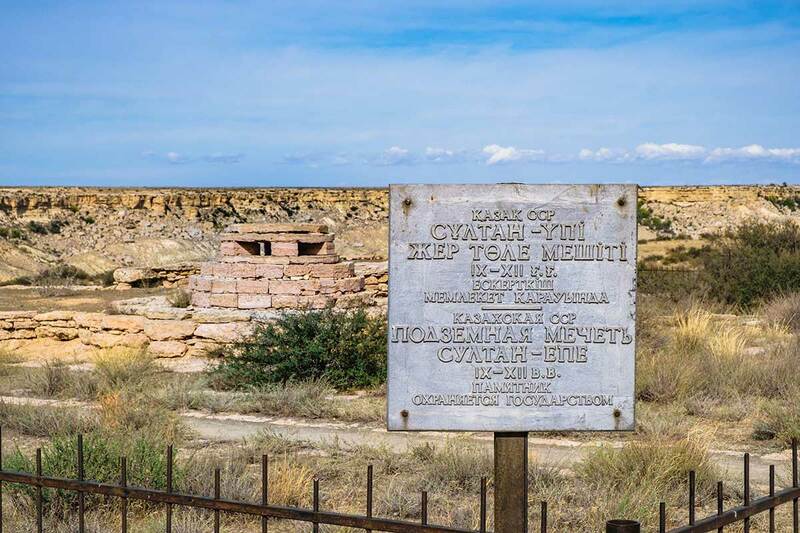 Here are the graves of tribal leaders and religious leaders of the Bronze Age. 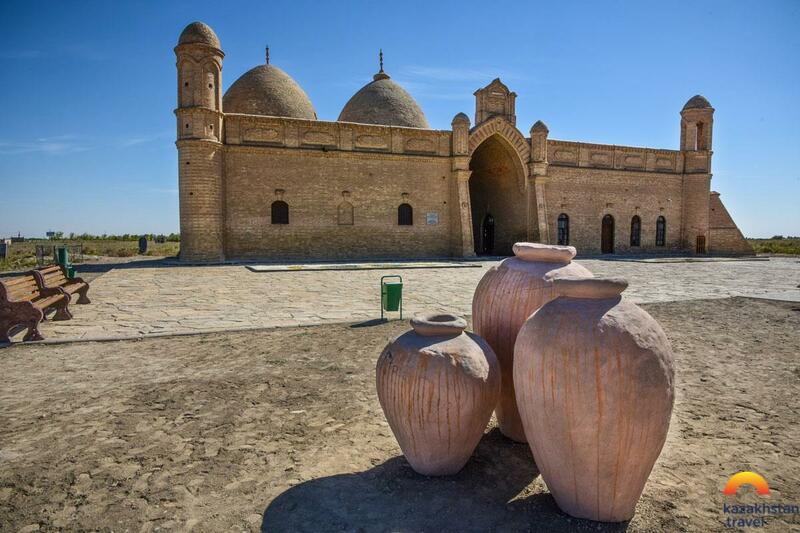 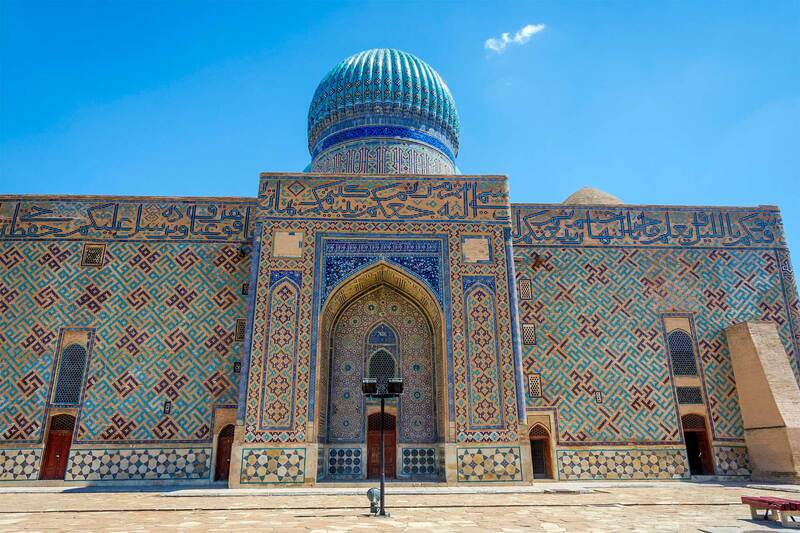 Important historical monuments of medieval architecture of Kazakhstan.